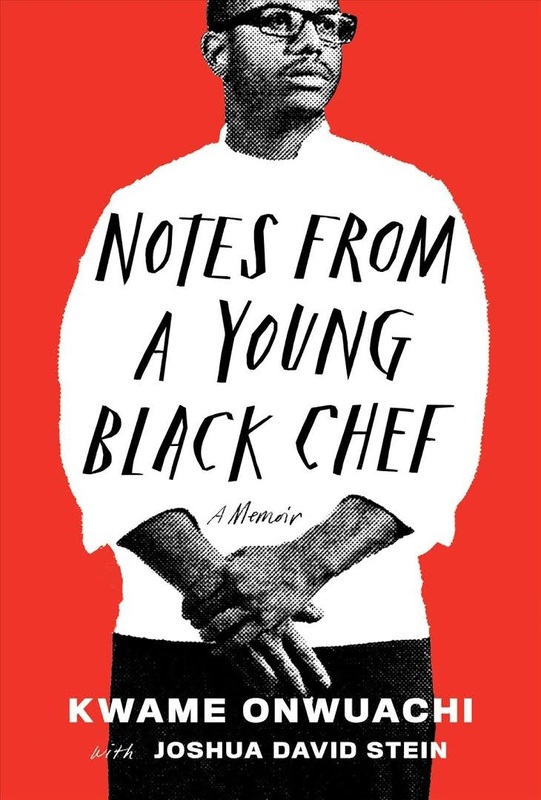 In Notes from a Young Black Chef: A Memoir (Knopf, reviewed below), chef Kwame Onwuachi (with co-writer Joshua David Stein) explores his experiences growing up at the intersection of multiple cultures and cuisines. 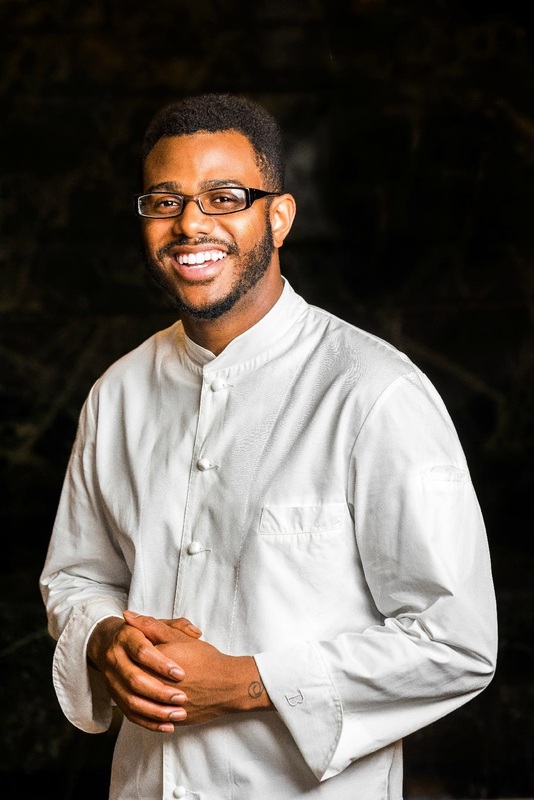 Onwuachi traces his life both in and out of the kitchen, reflecting on a youth that crossed continents--and, for a time, the law--and a career that by his late 20s already included competing on Top Chef, cooking in prestigious kitchens and opening several restaurants of his own. What did an average day look like for you, balancing writing with being a chef? That's a loaded question! I tried to find time before service, in between service--literally any free time, I had to either get something down on paper or talk to my co-writer. There was always something, every single chance I got. A theme throughout Notes from a Young Black Chef is how often you have had to shift between different versions of yourself. How has this ability shaped you as a chef? You have to slide between different worlds as a chef. You have different people you have to inspire and influence. You have your diners: you have to go out there and talk to them a certain way and inspire them. And you have your staff, who you have to continue to inspire as well. Shifting through the worlds never really stopped. Only the bigger you get, the worlds you have to shift between get farther and farther away from each other. One of the images I was struck by from your time living in Nigeria was the RV that your granddad took on a road trip across the U.S., then brought back to Nigeria with him. The idea of home being moveable and changing is so compelling. What gives you a sense of being home now? I would say that doing what I love to do gives me a sense of being home. I've traveled all around the country doing pop-ups, across oceans cooking--whether it's Hong Kong or Mumbai or L.A. or San Francisco. One thing that keeps me grounded is being in the kitchen. It gives me the sense of home. It reminds me of my childhood. I found so much security standing next to my mother in the kitchen for so long that that has never left me. There have been strong women in your life who have supported their families through their cooking. I've also read about your admiration for the incredible restaurateur Leah Chase. Can you say a little about that, and about your own work supporting women and people of color in your industry? I feel it's important for me as a minority to support other minorities. The thing about Leah Chase is that she's not only an African American chef who's had her own restaurant for so long (and during the Civil Rights movement), but she's also acted as a backbone for our societal growth as a people. Having a restaurant now as a person of color is difficult; I can only imagine how it was in that time period. And to continue to cook amazing food on top of that and to continue to be in the restaurant as much as she has is really inspiring. It's the way that my mom inspires me when I think I have it tough and I look back to her. She was a single mom supporting two children in New York City. That's crazy, you know? I get a lot of inspiration through people persevering. It makes me keep going as well. Your first job as a teenager was at a McDonald's. Later, referring to when you were selling drugs in college, you write, "We had everything we wanted, could buy anything we wanted, could eat at Burger King three times a day every day." Out of curiosity, when was the last time you had McDonald's or Burger King? Ha! I ate at Wendy's like three weeks ago. I was having a bad day; I forget what happened. On a bad day, usually I will eat either chicken wings and pork fried rice or some sort of fast food. So I had Wendy's. I had a Baconator or something like that, with chicken nuggets and French fries. It was great. But I haven't eaten at Burger King in years. A couple quick ones. First, if you were to make a "Nutcracker" (the cheap Hawaiian Punch cocktail you briefly sold to fellow college students) now, what would be in it? Oh, man! I always think about putting it on the menu! I think it would be in the same vein. I'd call it a Nutcracker, but there would be elderflower juice in there, or elderflower cordial. Mangosteen juice. All my favorite fruit flavors now, or fruit-forward flavors now, with a Bacardi eight-year rum. Shaken, with lots of ice. What was the last cookbook you cooked from? I think the last cookbook I cooked from was The Art of Fermentation--not actually a "recipe" recipe.